Bicton Castle was an earth and timber motte-and-bailey fortification. 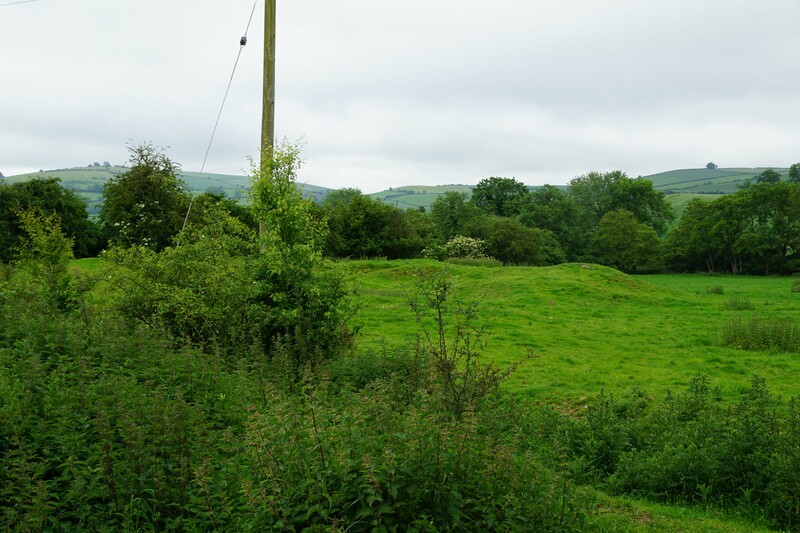 Little is known about the history of the site but it may have controlled access along the adjacent River Unk and perhaps also served as a manorial centre for a minor landowner who would have been subservient to the regional centre at Clun. Bicton Castle was an earth and timber motte-and-bailey fortification. Little is known about its history but it was presumably raised in the late eleventh or twelfth century as an outstation of Clun Castle which was the caput of the region. 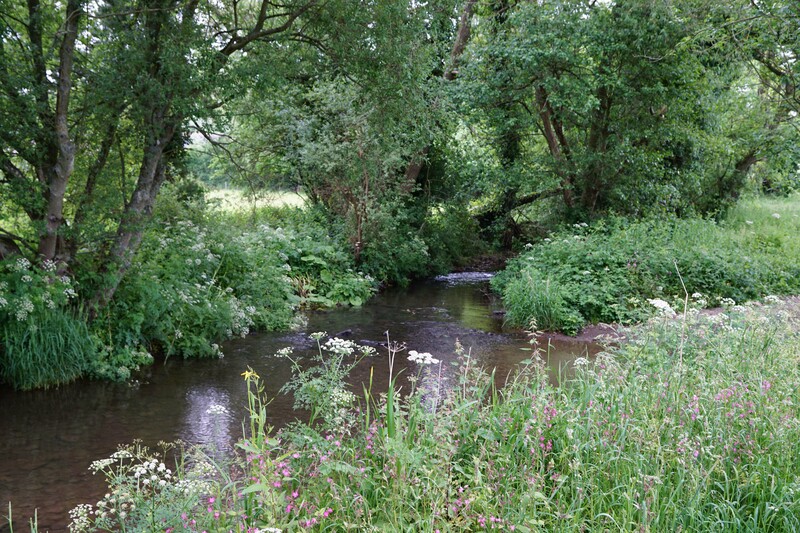 The castle was located adjacent to the River Unk, a tributary of the River Clun, and its purpose may have been to control access across or along this waterway which would have been an important communications artery during the medieval period. It is also possible the castle had a role in managing the surrounding agricultural land perhaps as a manorial centre. Like nearby Newcastle Castle, the length and extent of the occupation of the site is unknown. The earthworks of Bicton Castle have been badly damaged by gravel digging but its general layout can still be appreciated. Both the motte and bailey were created from modification of a glacial mound. 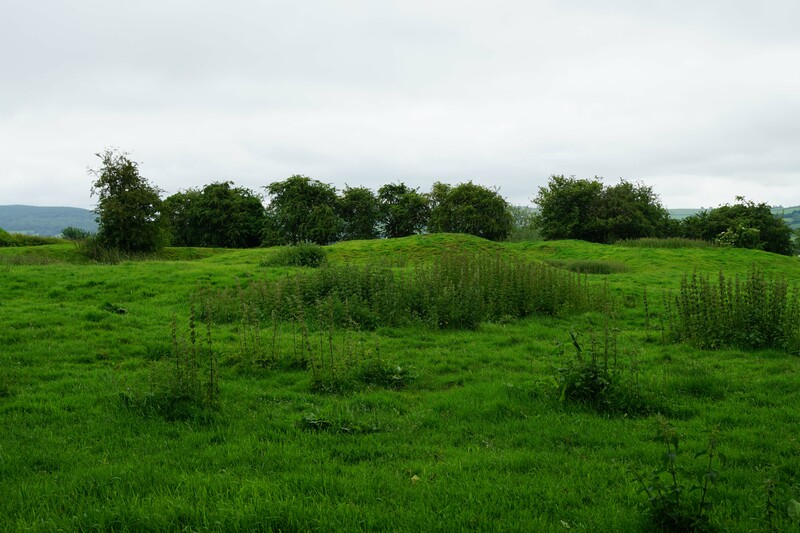 The motte, which had a diameter of around 30 metres and would have been topped with a timber palisade and possibly wooden tower, was formed by creation of a circular ditch around its base with the spoil being used to build up the height of the mound. A rectangular bailey occupied the area to the immediate south. Allcroft, A.H (1908). Earthwork of England. London. Historic England (2015). Bicton Motte and Bailey Castle. Historic England, London. Salter, M (2001). The Castles and Moated Mansions of Shropshire. Folly Publications, Malvern. Bicton Castle consists of earthworks of an earth and timber motte-and-bailey fortification. The motte has been badly damaged by quarrying but the layout of the fortification can still be appreciated. It is on private land with no public access although the remains can be clearly seen from the adjacent road. Motte. The motte has been damaged by gravel digging but its layout can still be appreciated. River Unk. The castle was adjacent to the River Unk which would have served as a water source and was also a key communications artery. Bicton Castle is found in the hamlet of the same name one mile north-west of Clun and is accessed off an unnamed road of the A488. The hamlet is sign-posted and on-road car parking is possible near the castle site.